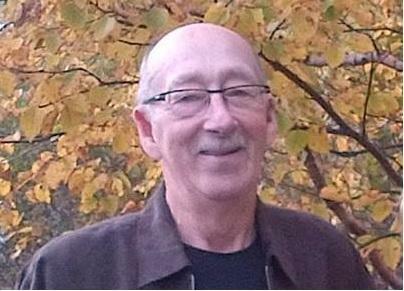 David Head of Terra Nova, NL passed peacefully away surrounded by family on Sunday June 21, 2015 age 77. Predeceased by his daughter Joanne, parents John and Ina, sisters Betty and Daphne. Leaving to mourn, with fond and loving memories, his wife of 58 years Jeanette; children Beverley (Mike), Derick (Diane), John (Gail), Glennis (Paul), Christine (Frank), Jeff (Leah), Son-in-law Jim, 12 grandchildren, 3 great grandchildren; brothers Bob, Herb (Carol); Sisters Marg (Gerald), Jacqueline (Ken), Janice (Mike); As well as a large circle of nieces, nephews, other relatives and friends. The family wishes to express their sincere gratitude to the Palliative Care unit at the Miller Centre in St. John's, NL. A cremation has taken place and respecting the family wishes a celebration of his life will take place at a later date in Terra Nova, NL. Donations in his memory may be made to the Holy Trinity United church Terra Nova, NL A0C 1L0.